Bearing those perfectly manicured and shaped eyebrows still a dream away from you? Are you among those who have embarrassingly thin eyebrows and practically can’t look for any natural recourse to encourage a decent growth of hair follicles? If yes, then, its time you stop sulking and take a reality check on the real cause of your unusually thin eyebrow hair. There are no second opinions to the fact that bearing those ideally shaped and trimmed eyebrows is indeed a dream of all. These assets render the right framework to your eyes and help towards augmenting your appeal. When properly shaped and defined, they may constitute the most prominent features of your face. However, your unusually thin and sparsely populated eyebrows can simply waste your efforts of spending a lump sum to bear better shaped eyebrows! But not anymore! Here is a reality check on the most probable causes of unusual thinness of eyebrows along with their definite solutions. So, take a paper and pen and start making notes. Experts have recognized the progression of the medical condition called, hypothyroidism responsible for the unusual shedding of the hair from the eyebrows. In this condition, the functioning of the thyroid gland becomes less active than its usual. This further affects the level of thyroid hormone present in our body and hence causes numerous manifestations in form of side effects. These manifestations may be observed in the hair and skin, depending on the intensity of hormone drop. One of the most common symptoms of the condition is acute hair loss, especially from the most hairy regions of the body, namely, eyebrows and scalp. Thus resulting shedding of scalp hair & thin eyebrows. Another potent reason responsible for thin eyebrows are frequent hair waxing from the brows. Frequent waxing, plucking or threading of hair from the eyebrows lead to the progression of the medical condition called traction alopecia. In the condition, owing to the frequent pull-out of the hair, they start to fall out from their roots naturally after some time. Further, the same may be observed among those women who have the habit of tying their scalp hair very tightly in form of a bun. After some time, the hair tend to get plucked on their own. Endocrine disorders is yet another factor that may cause shocking hair sheds from scalp and eyebrows. This condition is seen to progress when a woman becomes pregnant or takes to the usage of birth control pill for a long period of time. Frequent sessions of chemotherapy which enhances the skin’s exposure to harmful chemotherapeutic agents also lead to considerable hair loss from the eyebrows. 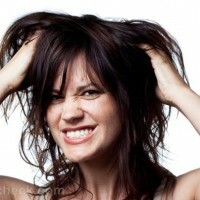 However, in this condition, the hair loss is observed more from the scalp region in comparison to eyebrows. Not-so-severe infections, especially fungal attacks, lice and bacterial infestations in the body may show their manifestation in form of hair losses from the eyebrows. Other prominent causes of thin eyebrows are aging, deficiency of certain nutrients especially, Vitamin D, A, E and B complex. If the cause of eyebrow thinning has been detected as hypothyroidism, you must look for the following symptoms. Hair loss- Loss of hair from the eyebrow as well as other hairy regions of the body like scalp. It is important to know that in this condition, the loss of the hair follicles may be unusually more than the normal days. Signs like deposits of uprooted hair from the scalp near the drainage found after bathing and uprooting of eyebrow hair at the time of wiping face or brushing eyebrows must be looked for. 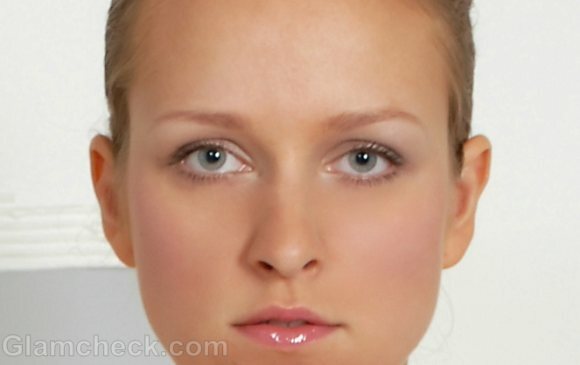 Skin changes- If the cause of eyebrow thinning is hypothyroidism, you may encounter skin changes like loss of sweating. Further the skin’s texture may become unusually dry with the emergence of dry scaly lesions and thickness of the skin. The nails may further become extremely brittle and the eyebrows may become thin or in adverse cases, invisible. Eyes- Changes in the eyes especially in form of mild swelling may also be observed along with loss of hair follicles from the eyebrows. Excessive feeling of chilliness in the eyes as well as skin are other unbearable signs of the condition to look for. Loss of libido- Menstrual irregularities like prolonged periods or missed periods may affect women experiencing this problem. Further, another major impact of the condition may be observed in form of loss of libido which may manifest in form of erection problem in men and loss of sexual interests in women. Further, apart from the above symptoms, other symptoms to look for are weakness due to loss of certain nutrients, gastric problems, sluggishness, depression and unusual itchy feeling on the skin. If the reason for unusual loss of eyebrow hair is detected as hypothyroidism, then one must only follow the treatment prescribed by the health care provider. Castor oil- This natural oil must be thoroughly massaged on the thin eyebrows before hitting the bed for catching sleep. The oil counters medical conditions like eczema which hampers hair growth in eyebrows. Massaging the brows with this oil triggers the hair follicles to renew the hair growth. Olive oil- It is highly recommended to massage the thin eyebrows with olive oil on a regular basis to trigger hair growth. Further the regular massage with this oil make the hair dark and soft. Aloe vera gel- This gel has the natural property to soothe hair follicles on the body and trigger hair growth. The gel, apart from thin eyebrows, may be applied over other parts of the body experiencing hair loss. Apart from the above oils, other natural oils like coconut oil, milk, almond oil and oil extracted from fenugreek leaves can also be applied to counter the problem of eyebrow thinning! Apply the above measures to understand the exact cause of thin eyebrows and follow the right steps to regain the growth.